Vocalist, Patti Littlefield says this concert will feature “timeless and lesser known jazz standards with some distinct blue notes”. A self- taught singer, Patti has extensive experience performing all genres of music, from folk to jazz and blues. 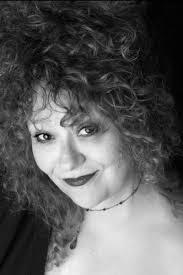 She has worked as a studio singer in New York and Los Angeles and has performed locally with many of New Mexico’s jazz luminaries as well as working with poets Mark Weber and Jimmy Santiago Baca. For several years, she was, along with Mark Weaver, one half of the intriguing vocal-tuba duo, Resonance, who released an acclaimed self-titled CD. Patti sings it all from jazz and blues to R&B. Her actual singing career began after moving to New York, where she recorded songwriter's demos for Ken Hirsch, Teddy Vann, and the late Doc Pomus. For a time, Patti sang regularly at Bogart's in Richmond, Virginia.